Due to a very exciting suprise this week my life has taken a major change and the thought of even entering the kitchen makes my stomach much too queasy. I’m sure most of you can catch my drift. So, until I can regain an appetite or even the ability to see or smell food on a regular basis again I’m putting The Cupcake Cure on pause. Thanks for understanding, and please check back soon! As soon as my husband and I got into the limo to leave our reception I already wanted to re-do the entire day from beginning to end. Of course, one of the best parts of our wedding was the cake. 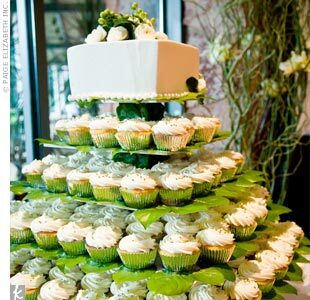 I’m thinking one day in the future when we do a big anniversary celebration a cupcake tier centerpiece will somehow be involved. 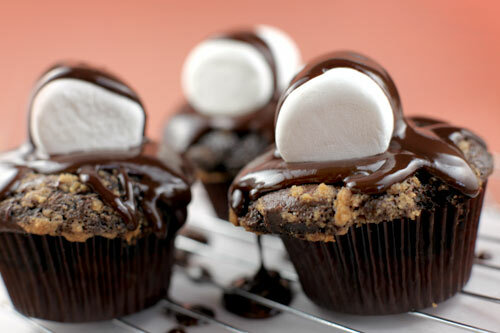 It’s S’mores Week here in The Cupcake Cure house and I’m pretty excited. I’ve been on a cookie kick this weekend and decided why not start the week with S’more cookies. This was such a good choice. 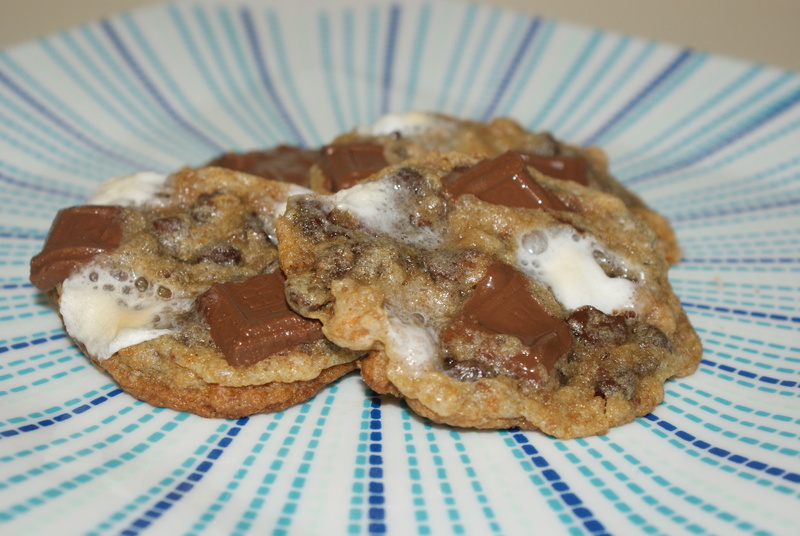 These cookies satisfy not only a cookie craving but any s’more lovers’ craving. Next time, I’ll either add a few more graham cracker crumbs or leave them a little less crushed to get a stronger flavor from the graham cracker. Also, the husband requested more marshamallows on his. Yes, this household is going to love S’mores Week. In medium bowl mix together flour, graham cracker crumbs, baking soda, salt, and dash of cinnamon. 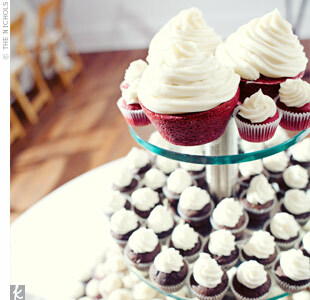 In a standing mixer, beat together butter and white and brown sugar and vanilla extract until creamy. Add eggs one at a time. Then slowly add the flour mixture. Once well combined, stir in the chocolate chips. Spoon tablespoonsfuls of dough onto baking sheet. Bake for 8 minutes, and remove from the oven. 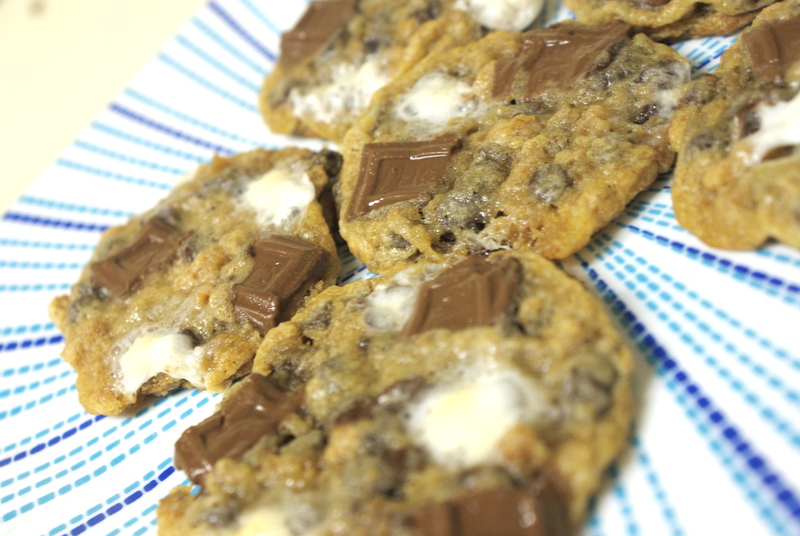 Push 3 to 4 marshmallows and a few pieces of hershey bar into each cookies. Continue cooking for another 3 or 4 minutes until cookies are fully cooked. 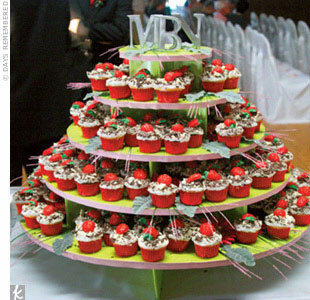 Let them cool on wire rack before serving. 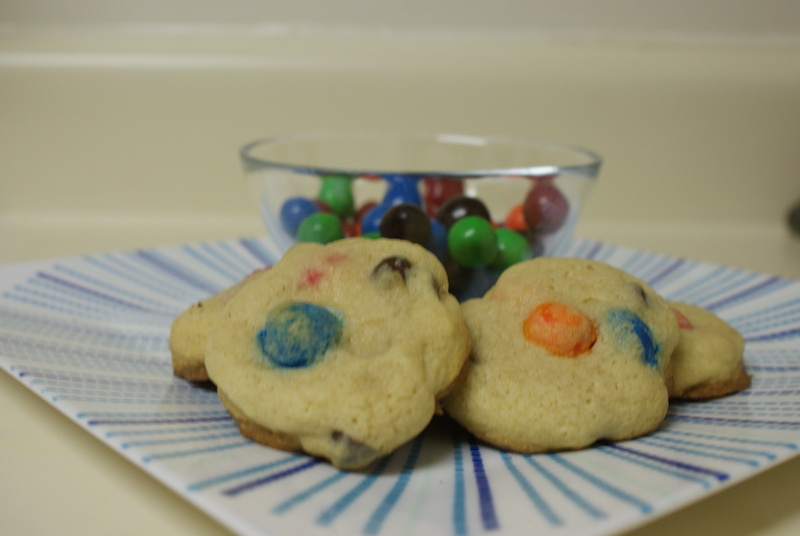 M&M has created yet another “melt in your mouth, not in your hand” treat. This time with a mini pretzel in the middle. If you made me choose a favorite type of M&M I’d have to say peanut butter, but I figured I should give these new sweets a fair chance. After seeing some of my favorite foodies talking about their wonderful experiences with the new M&M a new recipe had to be done. The pretzels certainly melted in your mouth when you ate these cookies, absolutely delicious. If the pretzel M&M sticks around, so will this recipe. Whisk together flour, salt, baking soda, and baking powder in a bowl. Set aside. Beat butter and sugars together in a standing mixer fitted with the paddle attachment until smooth. Add egg and vanilla and beat until smooth. Then on low speed, slowly add in the flour mixture until just combined. Stir in chocolate chips and pretzel M&M’s. Then cover the dough and let it cool in the fridge. I like to do this with my cookies because it makes them easier to handle when getting them on the baking sheets. Place heaping tablespoonfuls of dough on a baking sheet 2 inches apart. Bake 10-12 minutes until cookies are slightly golden around the edges. Move cookies to wire racks to cool. Voila. 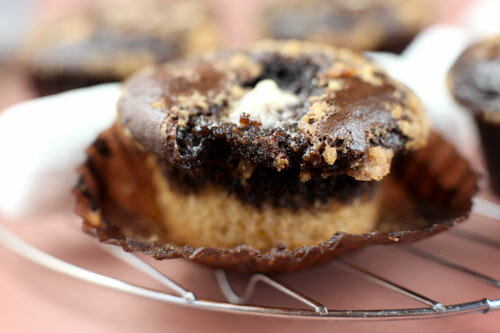 Last week, I found some crave-worthy S’mores Cupcakes. In following this craving I came to find that this Tuesday is National S’mores Day. I’m not kidding. There is truly a National S’mores Day here in America. We can thank The Hershey Company and Kraft Foods for giving us one more holiday celebrating sweet sweet treats. For those of you who don’t know what a S’more is, let me explain. S’mores traditionally consist of graham crackers with a square of Hershey’s chocolate topped with a freshly roasted marshmallow sandwiched with one more graham cracker. 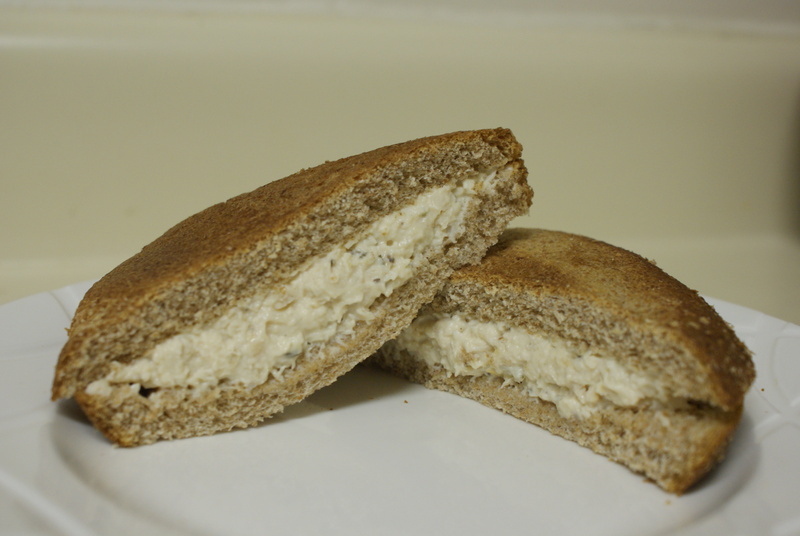 They’re a classic campfire treat that has been shared by families for years. In fact, when I think of S’mores I can remember being a little girl fighting with my brothers over the good spot in the fire to roast our marshmallows. In honor of this nostalgic treat, I’ll be doing a S’mores treat every day this week. So sit back and get ready for some ooey gooey chocolate marshmallow goodness! Microwave ’em — You can make S’mores, in seconds, right in your microwave. It’s easy; just top each of four graham squares with one chocolate piece and one marshmallow. Place on a microwaveable plate and microwave on HIGH 7 to 10 seconds or until marshmallows puff and chocolate begins to melt. Carefully remove plate from microwave and then cover the S’mores with remaining graham cracker square. 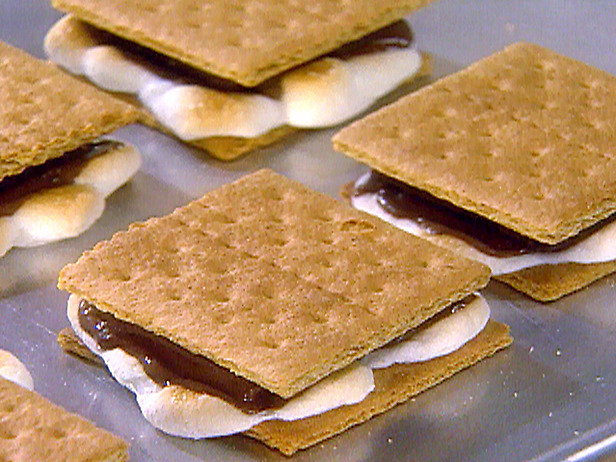 Fire up the Fire Pit — Can’t get out to a campground this National S’mores Day? No problem! Make an impromptu campfire setting at home over your backyard fire pit. You can even use real sticks to roast your marshmallows to make yourself feel like you’re immersed in the great outdoors. Sweet Grilled S’mores –Mix it up this year by making S’mores on the grill. Build the S’mores ahead of time then wrap in aluminum foil. Place the wrapped S’mores on the grill and cook 1 to 2 minutes over a medium-hot grill on each side or until the marshmallow is gooey and the chocolate is slightly melted between the graham crackers. Classic Campfire — Everyone loves classic campfire S’mores. If you’re looking for a reason to get together with family and friends before the cold weather returns, plan a camping trip to commemorate National S’mores Day and make the timeless treat the center of your fun. Start by placing half of a chocolate piece on top of half of a graham square. Then, lightly toast a marshmallow over the campfire and place it on top of the chocolate. Finally, top the toasted marshmallow with the remaining graham square half and press together. Brownies are something we haven’t addressed yet on this blog, and I thought these would be the perfect beginning to our brownie relationship. 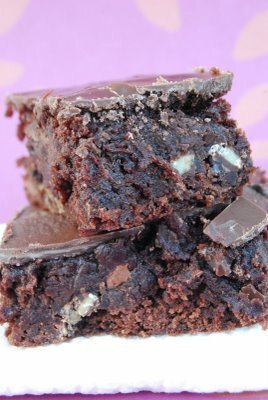 The photo of these Andes Mint Brownies literally makes my mouth water. The chocolate looks so rich and perfectly thick along with a top layer of chocolate and chopped mints throughout. Well, I’m lost for words at the thought of the taste and texture of these treats melting in my mouth. All I know is I will be needing a very very large glass of milk. It’s as if Christmas is always around the corner, or at least that’s the way I like to think about it. My family celebrates the holidays as if there won’t be another one and I will definitely continue with this tradition. 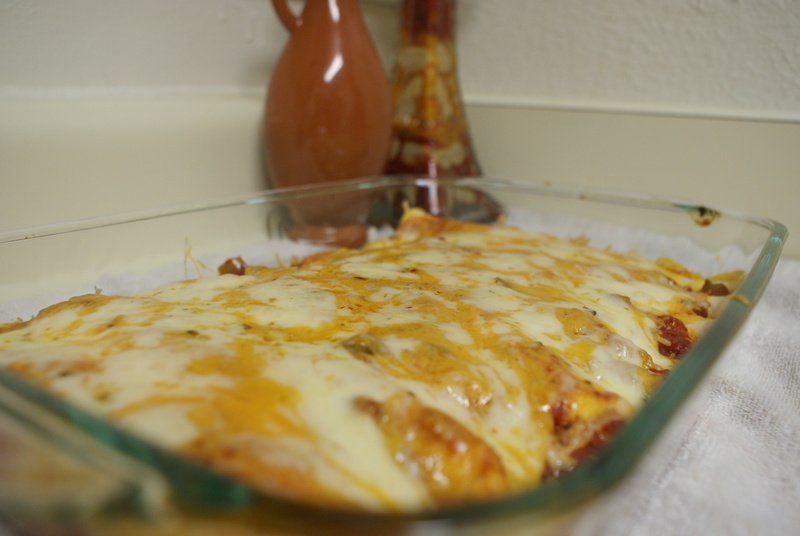 Having been married for two years now, I’m always looking for recipes my husband and his family will also enjoy. 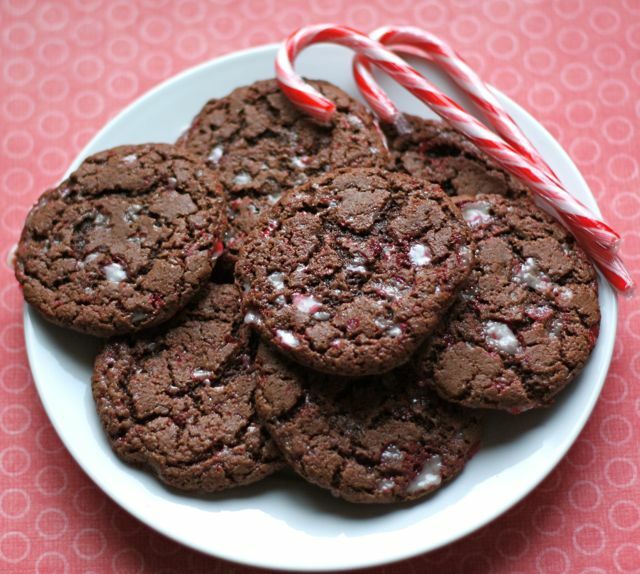 Peppermint Bark and Chocolate Peppermint Crunch Cookies- there’s no doubt these two treats will hit the spot with the in-laws! 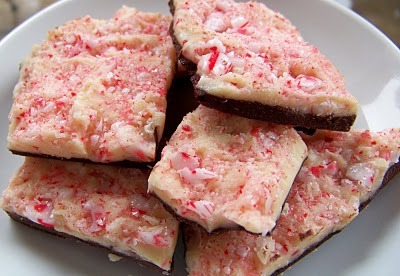 I’ve never been much of a peppermint bark fan, but my husband and his mom love the stuff. 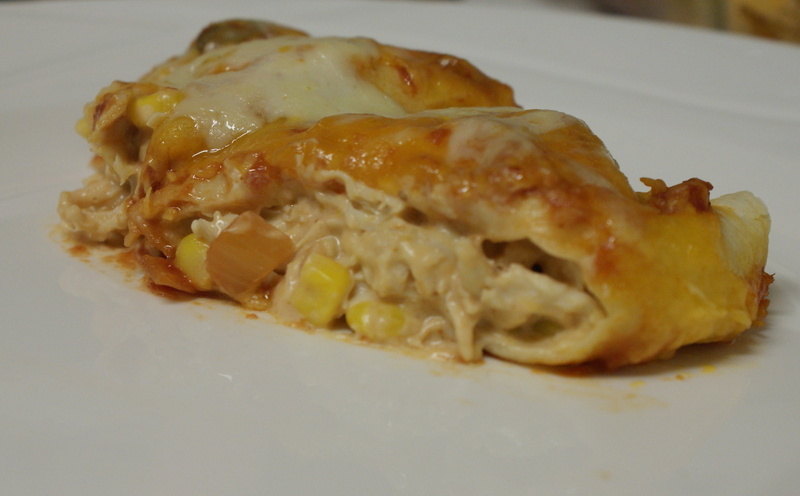 These have been bookmarked and will be attempted for the holidays. Chocolate, graham crackers, marshmallows and chocolate ganache. I die! This isn’t the first S’more recipe I looked over, but it is most certainly one of the most mouthwatering ones I’ve seen lately. How perfect are these for a chocolate craving?